Want to show off the fact that your secret organization is the best? 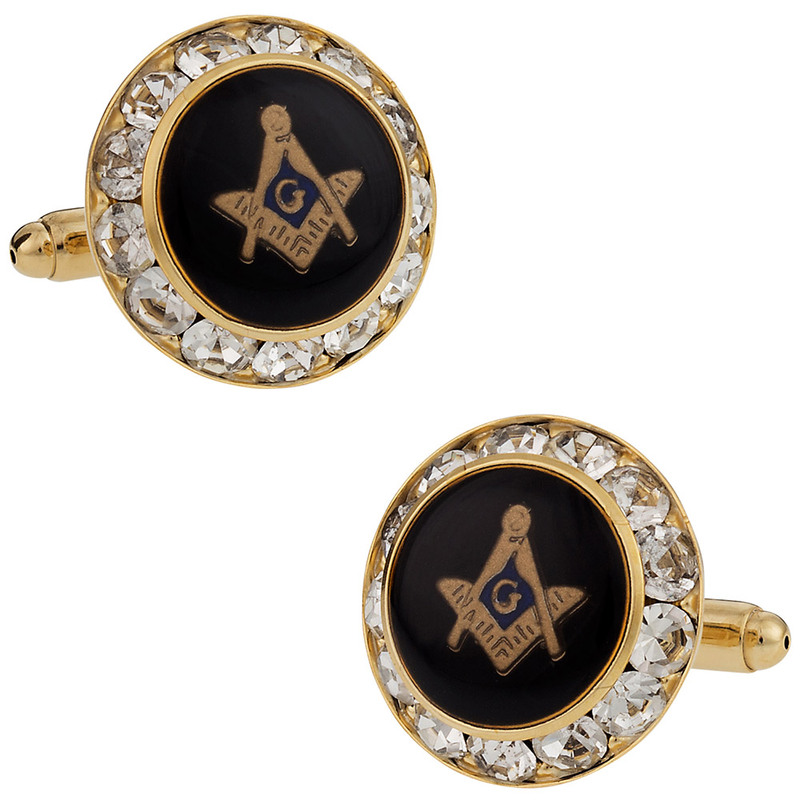 Although the Freemasons hold many secrets, the fact that these masonic cufflinks look great is not one of them. The traditional Masonic square-and-compass emblem, rendered in gold tone and blue, on a stunning dark blue enamel disc is backed by polished gold-plating. Glittering, diamond-like crystals surround the emblem, adding a measure of richness. These links have stunning gold-plated mounts. Proudly made in the U.S.A. 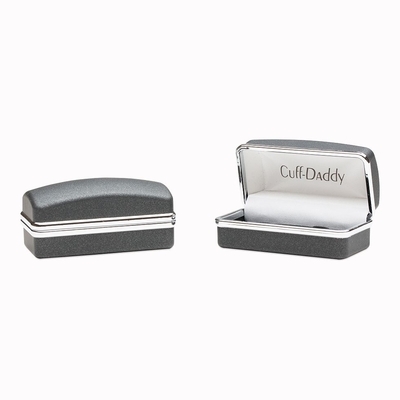 They come in a handsome and hard-sided gift box. 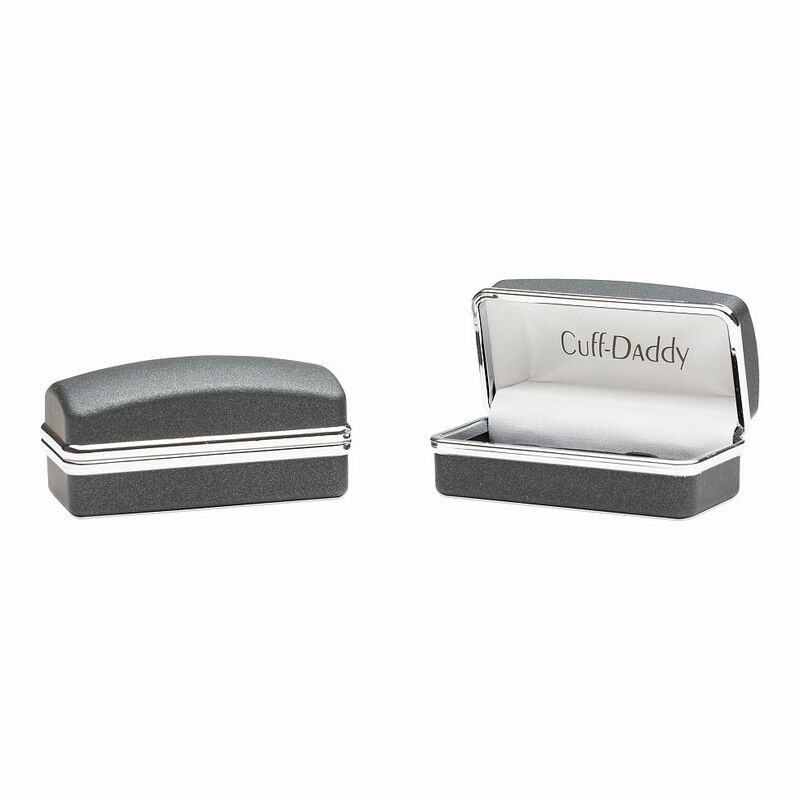 These masonic inspired cufflinks look sophisticated and classic. I like the recessed diamonds; they add some sparkle without overtaking the old school charm of the design.